Greece welcomed 30.1 million tourists in 2017 and the number is expected to skyrocket by over 10 percent in 2018. 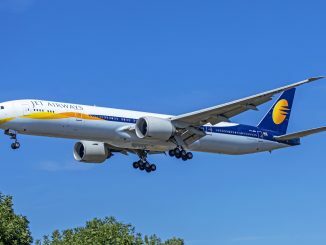 With packed summer flights and light winter loads, the aviation sector has been very difficult to navigate for the various airlines that have attempted to succeed in this highly seasonal market. As airlines come and go, one player has found the winning formula to the region and proudly flies as the largest airline in Greece. Serving as the nation’s flag carrier, Aegean Airlines will celebrate its twentieth anniversary of commercial flights in May 2019. 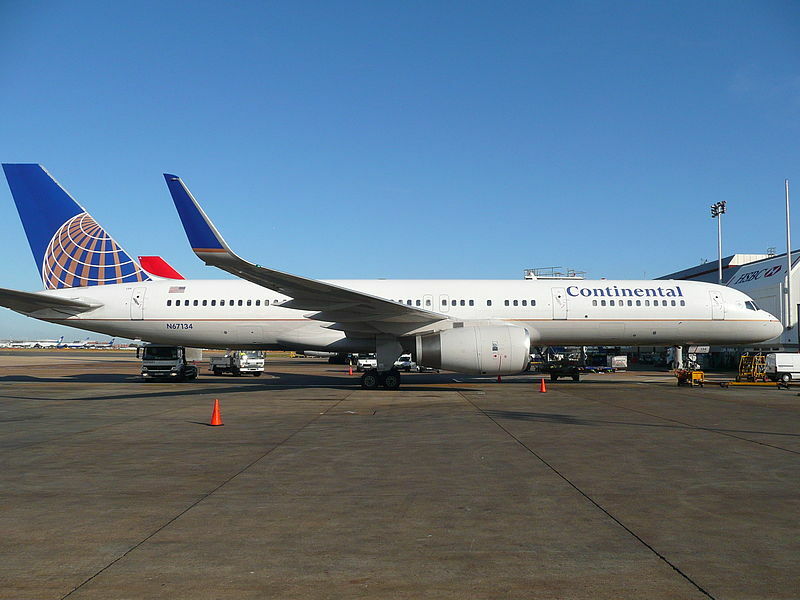 The airline recently announced impressive third-quarter earnings despite rising fuel costs. Revenue has increased nine percent compared to 2017 to €483.6 million ($550.5 million) and the airline carried 10.8 million passengers between Jan. 1, 2018 and Sept. 30, 2018, a six percent increase over 2017. 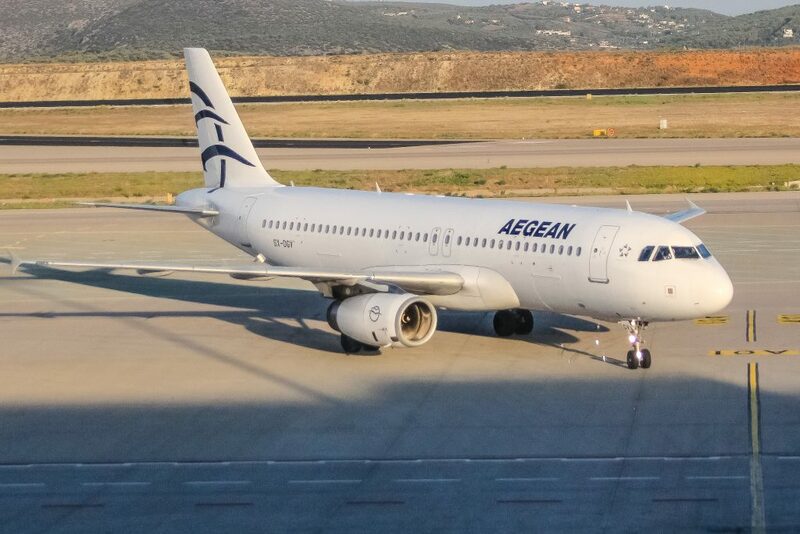 Despite financial troubles which have plagued Greece’s economy over the past decade, Aegean Airlines has continued its expansion and secured its position as Europe’s Best Regional Airline for the eighth year in a row. In an effort to understand how the airline has managed to succeed despite operating in conditions where many have failed, AirlineGeeks interviewed Aegean’s CEO to learn about the brains behind the carrier’s highly successful operations. 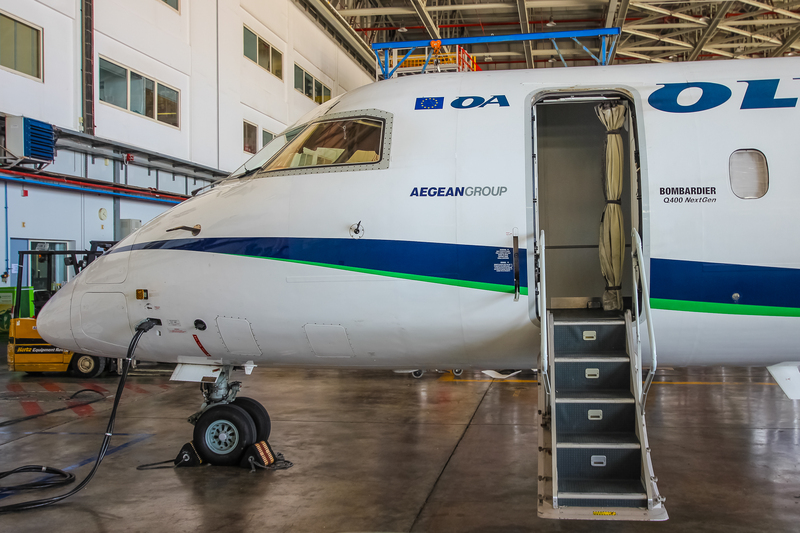 This story takes an in-depth look at Aegean’s history, management, current operations, and future prospects. Dimitris Gerogiannis, CEO of Aegean Airlines, joined the airline in 1999. An engineer by profession, educated in Greece, the Yale PhD graduate’s first job back in Greece, after spending 14 years abroad, was at Athens International Airport during the construction phase. Two years into his career, he was approached by a founding member of Aegean. Though he was leaving the biggest project at the time in Greece and a good job, Gerogiannis was excited to become a part of the start-up effort and ultimately assumed the role of CEO in 2007. Founder and chairman Theodore Vassilakis was a hands-on entrepreneur who had been in the service and tourism industry sector all his life prior to creating Aegean Airlines. Early in his career, he built the Greek Hertz franchise, Hertz-AutoHellas, from scratch. The company now handles over 40,000 rental cars in Southeast Europe. With plenty of business experience under his belt, Vassilakis was ready to tackle the state-owned Olympic Airways which had garnered a bad reputation among Greeks and foreigners as a result of its poor service and lackluster financial performance. “His vision was to offer not only to the Greek people but also later to the foreigners visiting Greece very good service quality when they fly. It was less of a real business plan behind it and really his own vision,” Gerogiannis said. In May 1999 Aegean Airlines officially began flights between Athens, Crete, Heraklion, and Thessaloniki using two Avro RJs. The plan was to slowly grow to five Avro RJ aircraft by the third year of operations. 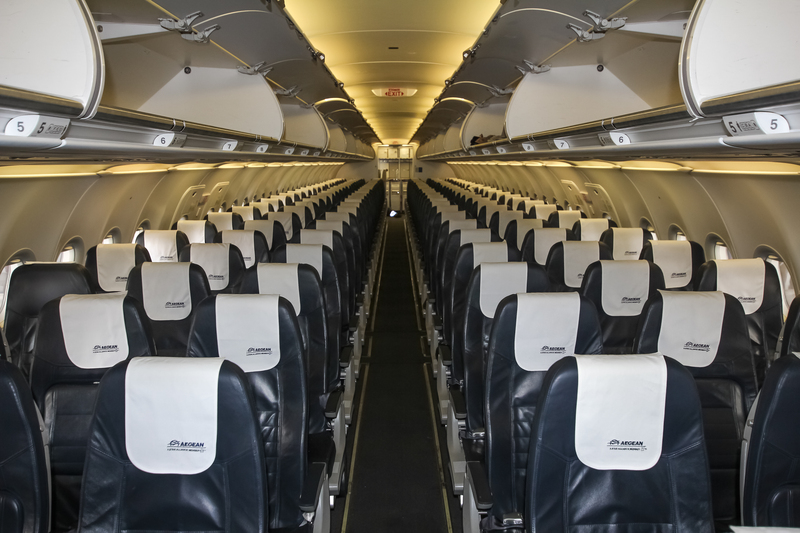 But just five months after commencing commercial flights and two months after Gerogiannis joined the airline, Aegean Airlines bought out Air Greece, one of its top competitors, in December 1999, inheriting the carrier’s ATR 72 fleet. In 2001, Aegean Airlines merged with another competitor, Cronus Airlines, taking over the carrier’s five 737-300s and two 737-400s. 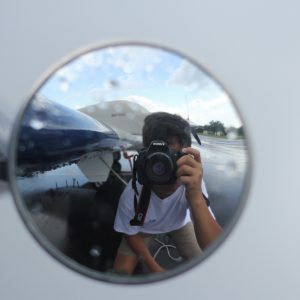 Within a year of operations, the airline was flying 16 aircraft. The start-up went from 100 employees to over 1,300 in a year and a half. In 1999 the airline carried 300,000 passengers strictly on domestic flights. By the end of 2001, Aegean Airlines had flown 2.5 million passengers and entered the international market as a result of the Cronus merger. The fast growth led to losses. In 2005, the airline committed to take on the highly competitive international market and grow its presence abroad. The decision to grow internationally also led Aegean Airlines to make a big re-fleeting decision. With a fleet of aging Boeing 737s from different lessors, the original Avro RJs, and the ATRs, the airline knew it had to streamline its fleet. The big question was whether to stick with the Boeing 737 or switch to the Airbus A320 family. 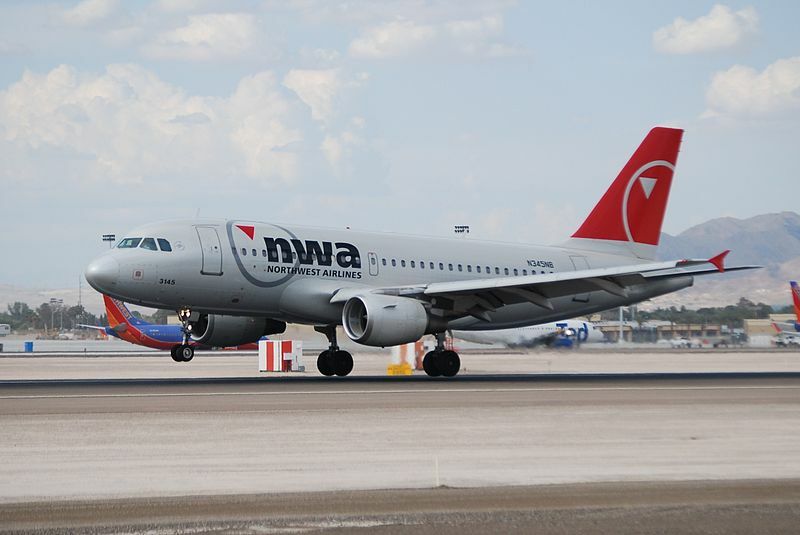 Ultimately, the airline chose the A320 in 2005. As the first new Airbus orders were delivered and the carrier experienced steady growth, Aegean Airlines was listed on the Athens Stock Exchange in 2007. This allowed the carrier to raise about 130 million Euros, preparing it for the looming economic crisis. The Greek economic crisis lead to the downfall of many Greek companies. The Greek State under the burden of a bankrupt state-run Olympic was forced to privatize Olympic Airways. 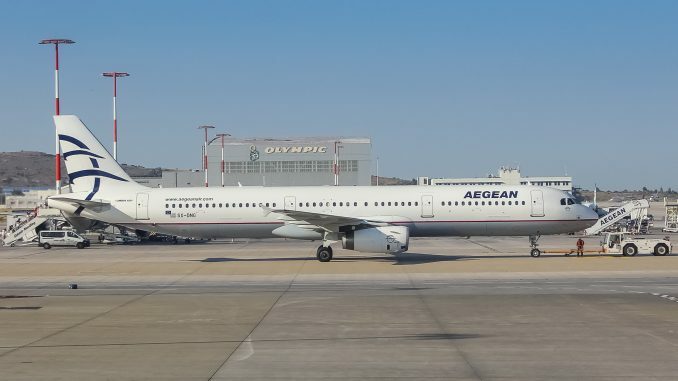 Aegean Airlines was excluded from Olympic’s privatization process and, as a result, was faced with a new competitor when a private equity fund bought the airline and rebranded it as Olympic Air. At the same time, the Greek economic crisis started to show its severe impact on the behavior of Greek consumers, whose disposable income was drastically reduced and traveling was cut. In an effort to keep up its growth, Aegean decided to make two more crucial and risky decision in 2009, leading to sustained losses in 2010 and 2011. Additionally, the airline was invited to join Star Alliance in 2010 and benefited from the increased awareness the organization was able to provide to Aegean. Both decisions proved effective for the airline. Within Olympic Air’s first month of operations, the carrier was already generating losses. On the international front, Aegean Airlines continued growing despite being in the worst financial crisis ever in a Western country. By 2012, Olympic had become less than half of what it was in 2009. The airline returned to financial health prior to taking over Olympic Air in October 2013. 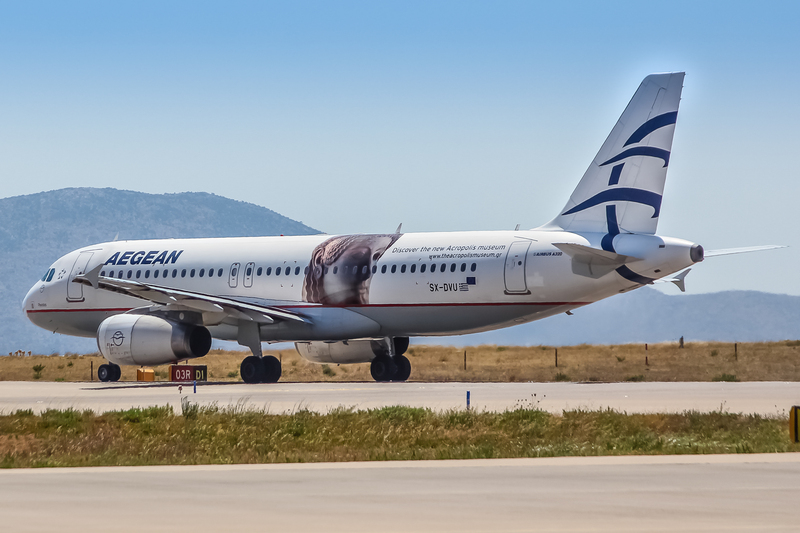 With three years of losses, Aegean Airlines took advantage of 2013, the first year of some stability in the Greek economy. On Oct. 23, 2013, Olympic Air became a subsidiary of Aegean Airlines following a €72 million ($82 million) deal that was approved by the European Commission. As a result of the merger, the airline inherited one A319, four Dash 8-100s, and ten DHC-400s. Interestingly, Aegean Airlines decided to keep the Olympic brand and all domestic service is now branded as Olympic Air flights. 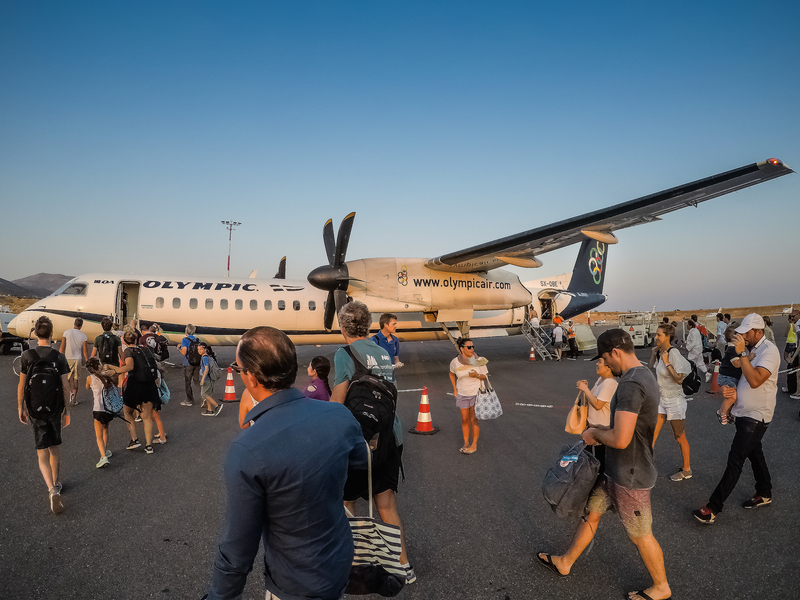 Though Olympic Air solely flies domestic, Aegean A320s frequently fly various domestic routes to accommodate high traffic between various points such as Athens, Thessaloniki, Santorini, and Mykonos. A condition of the privatization agreement of Olympic signed by the government in 2009 was that in order to maintain the rights to the Olympic logo, an airline must operate with the Olympic logo. While the Olympic Air livery continues to proudly fly over Greek skies, all Olympic Air aircraft have a decal noting the aircraft’s parent company. Due to Greece’s highly seasonal tourism sector, maintaining a profitable year-round operation is the toughest part of any carrier dreaming to succeed in the market. In November 2018 the carrier saw an 18 percent increase in international passengers compared to the same time period last year. With an 84 percent load factor during the month, this data proves that Greece is on track to extend its tourism season, a big benefit for airlines operating in the region. As a result of the highly seasonal market, the fleet is constantly fluctuating to meet various demands. Currently, Aegean Airlines flies 49 Airbus jets. 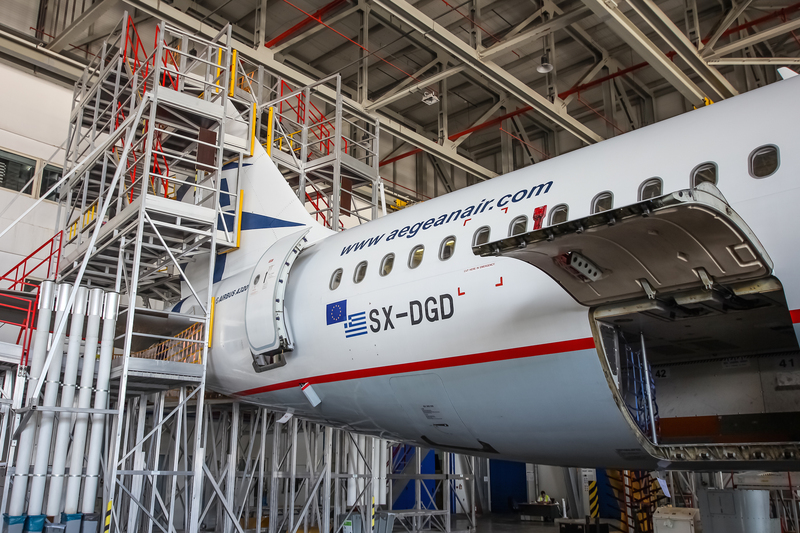 In early 2018, Aegean Airlines made headlines when it announced an order for 30 A320neos and options for 12 additional aircraft. 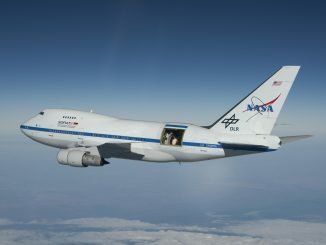 The aircraft will replace older airframes and add a net growth to the airline’s fleet. 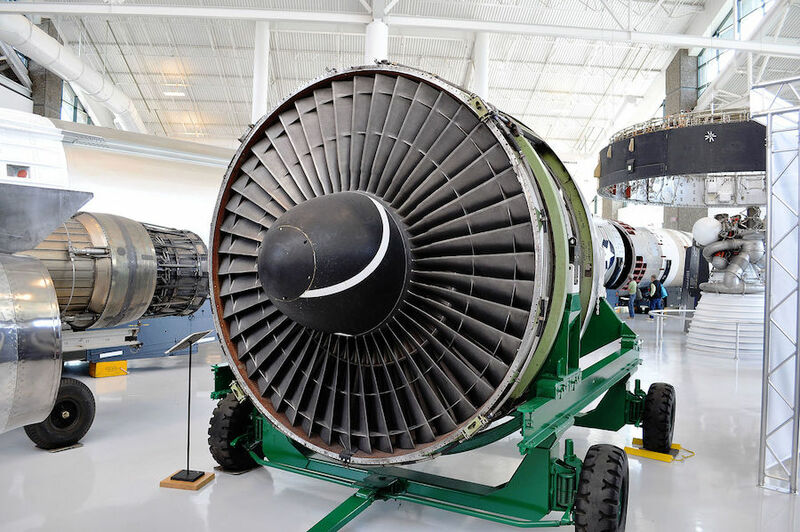 Deliveries of the Pratt and Whitney GTF-powered jets will begin in 2022 and continue until 2025. 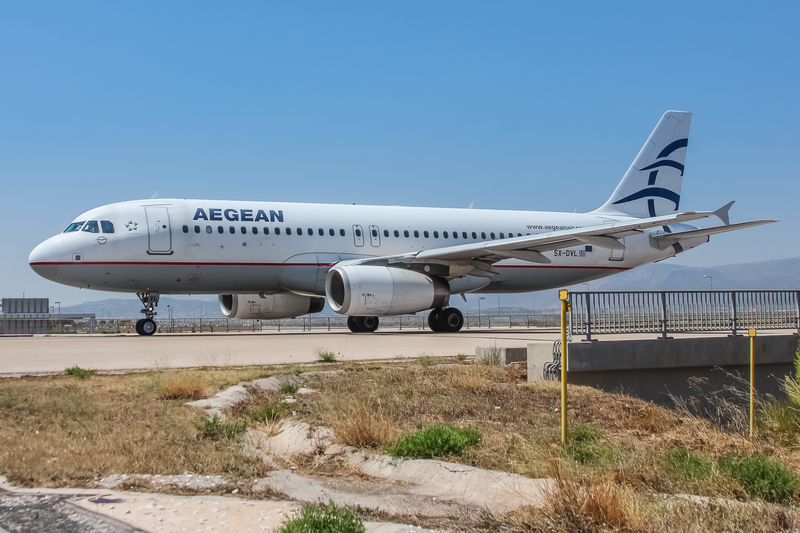 In addition, the airline will also source brand new aircraft with Aegean specifications from various lessors. 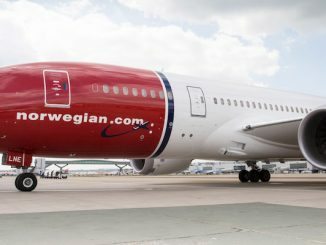 The airline has scheduled its first A320neo flights in the fourth quarter of 2019. 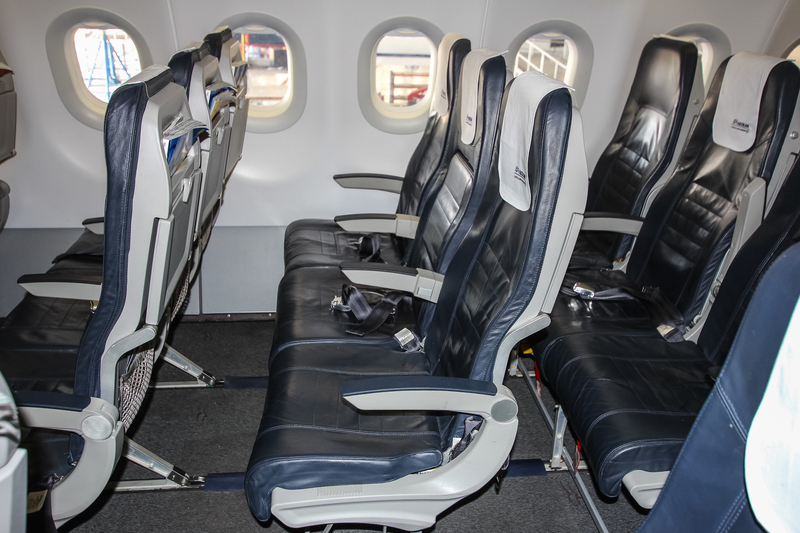 From a passenger perspective, the comfort level will remain the same. 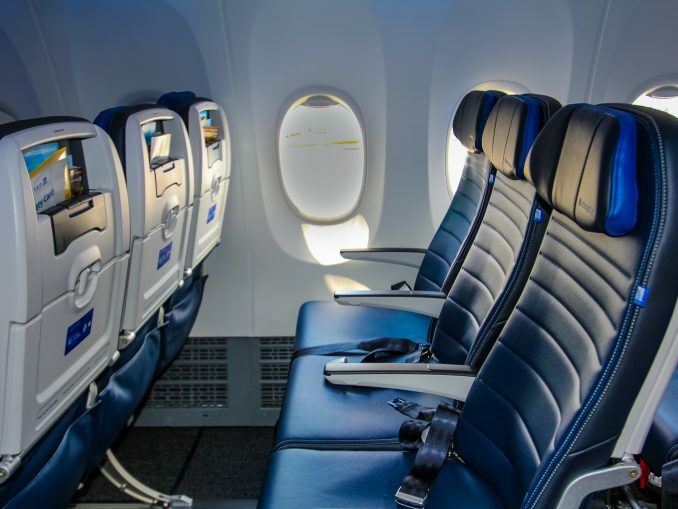 There are plans to add Wi-Fi connectivity and power at seats as the airline continues reviewing proposals from various technology companies in order to complete the final configuration of the aircraft. When making a decision to stick with Airbus, the airline went through a lengthy, competitive and detailed tender process between the A320neo and 737 MAX. Many view the Airbus A220, formerly the Bombardier C-series, as the perfect aircraft to serve the various thin routes Aegean Airlines flies to. But for Aegean, the aircraft has not even been considered. The Olympic Air fleet will also stay the same right now due to its relatively young age. And for the AvGeeks wondering why Olympic Air flies two Dash 100 variant planes, they are solely used on the Kastellorizo route. Being the most remote Greek island, the airline serves it and the Dash 100 is the only aircraft that can get the job done due to the island’s 2,624 foot runway. In the future, Aegean may consider reshuffling its turboprop fleet as various Dash aircraft reach their retirement age. 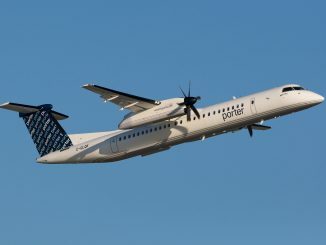 Currently, Olympic Air operates two ATR aircraft, each about four years old. In 2014, Ryanair opened a hub at Athens International Airport after entering the Greek market in 2013 in Chania and Thessaloniki. Aegean Airlines was not going to let them take over their market and has successfully defended its territory. In 2016, Aegean carried 35 percent of all 12.9 million international passengers flying through Athens while Ryanair carried 12 percent. In 2017, Aegean’s share increased to 36.5 percent of 14.3 million international passengers in Athens while Ryanair dropped to 11 percent. As of 2017, Aegean Airlines also maintains a 69 percent share in the domestic market. 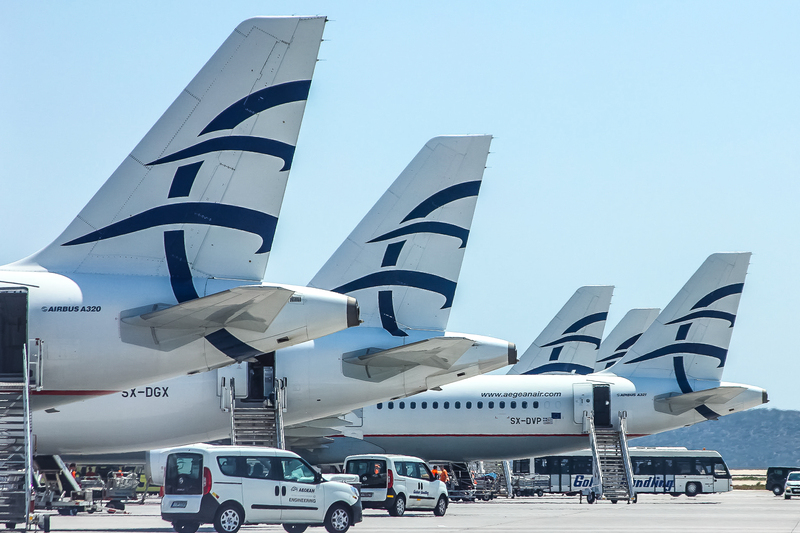 Gerogiannis believes that to successfully stay ahead of the low-cost competitors his airline must focus on superior customer service while also delivering low fares. Regionally, the airline also competes with Ellinair, Sky Express, Cyprus Airways, Blue Air, and Astra Airlines on various routes. 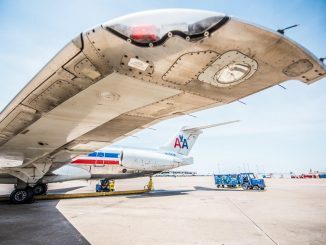 The airline’s constant investment in its employees has paid off. Aegean was once again named the Best Regional Airline in Europe for the eighth year in a row by customers in 2018. 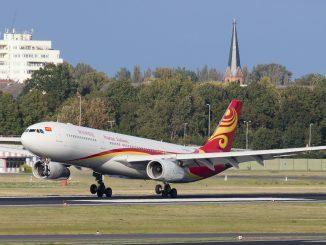 The airline also placed fifth in the world on the 20 Best Airlines list at the 2018 Readers’ Choice Awards published by Conde Nast Traveler. Additionally, the airline has successfully scored better than its Star Alliance partners Lufthansa, Swiss, Austrian Airlines, and Turkish Airlines on various customer surveys focused on overall satisfaction, carrier retention, and consistency of travel experience. Gerogiannis attributes the airline’s reputation for excellent service to the quality and commitment of the 3,000 plus employees. 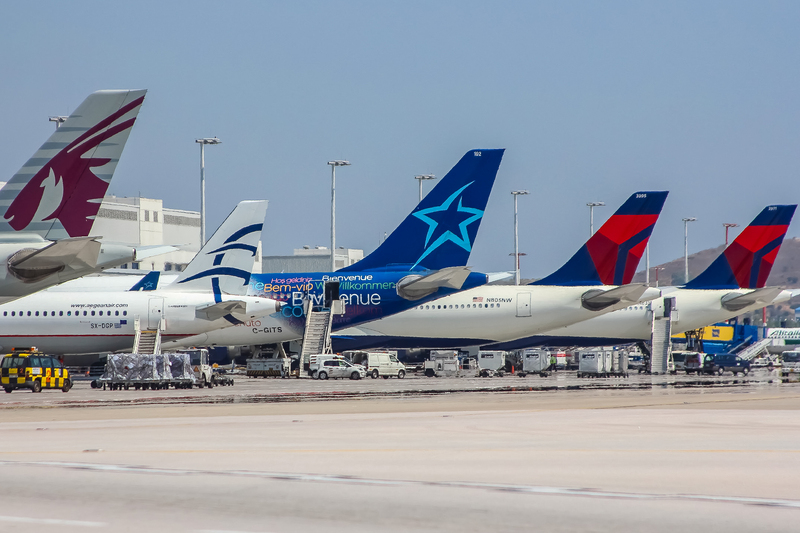 While Athens International Airport continues to gain new long-haul services to North America and Asia each year, Gerogiannis believes it has missed its opportunity to be the region’s biggest hub. AirlineGeeks visited the growing airport in 2017 to take a look behind-the-scenes of Greece’s largest airport. So when thinking about flying long-haul, management at Aegean Airlines is in no rush to take on the extremely risky challenge. At the end of 2018, Aegean Airlines celebrated another year of profitability, an accomplishment in which many do not understand the significance. In 2013, the Aegean Group including Aegean Airlines and Olympic air flew 45 aircraft to over 110 destinations. In 2018, the Group flew 61 planes to 151 destinations in 43 countries. Recently, the airline has also significantly expanded its presence in the Middle East. Though Aegean Airlines followed the steps of many other European carriers and ended its Tehran flight, the airline continues to expand in the neighboring market. While catering to passengers vacationing in Greece, the airline has also successfully created some hub traffic in Athens, for passengers traveling between the Middle East and northwest Europe. This is a niche market that Cobalt Air failed to capture at its Larnaca hub. Despite flying to 31 airports within Greece, international revenue accounts for 75 percent of the airline’s total revenue today. 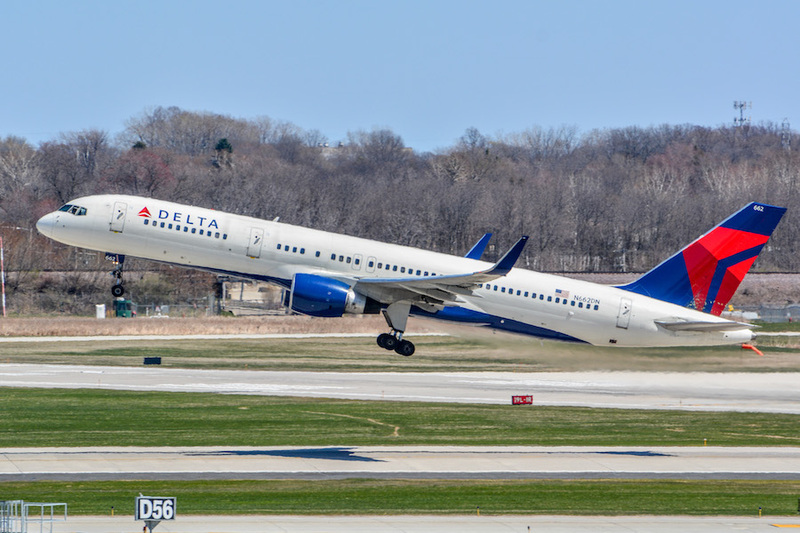 For the next five years, passengers can expect growth as the carrier continues to develop its various international routes and focusing on turning seasonal routes to year-round.